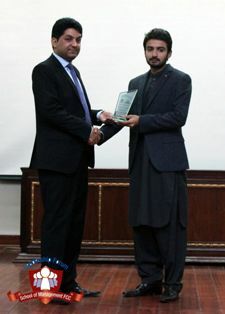 The Leadership Forum invited President of the National Youth Assembly, Mr Hanan Ali Abbasi on 30 November 2016 for a talk on the role of youth. The session started off by a video that outlined all of Mr Abbasi’s work with the youth of Pakistan. 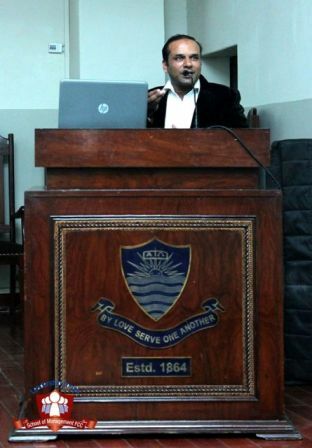 Mr. Abbasi took the opportunity to share about leadership and self motivation and the role of youth in Pakistan. He motivated the students of FCCU, stating that the future of the country is in our hands and that we are the future leaders. 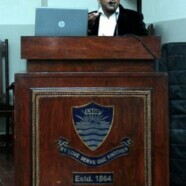 Mr Shahid Nazir was also invited to this session. Mr Nazir is a renowned singer, famous for his first ever official song One Pound Fish. Mr Nazir shared with the students his story of the song’s origin and how he sold fish in England and came up with this song to attract customers. He sang his song twice for audience. At the end of the session, both Mr Abbasi and Mr Nazir were presented with souvenirs by the current presidents of the Leadership Forum, Junaid Iqbal and Zantasha Baig.